The Most Sophisticated and Powerful Online Software for Moving and Storage Industry. Invaluable tool for home visual estimate - App that works on IPad or Android tablets. 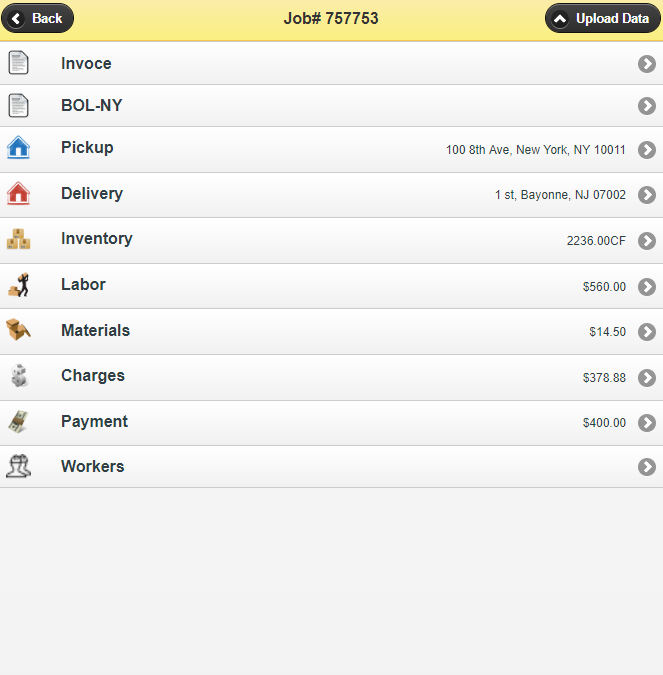 eMover is a software for movers and moving companies that is entirely based online. The only thing you'll need is a high-speed Internet connection and your favorite browser (Chrome or Safari is preferred). No additional installation is required. There are no out-of-pocket expenses — just easy monthly payments. No installation fee, no cancellation fee, no pre-payment, no strings attached. Setup takes a couple of minutes and is as easy as checking your email. The program does not require special training, however, our support team is always here to answer any of your questions. 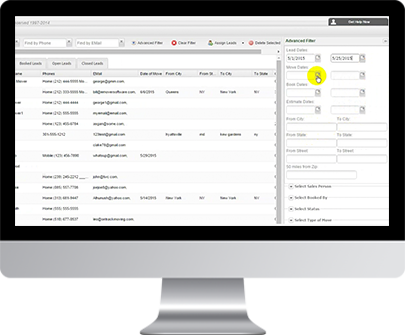 A CRM module to manage all your leads, whether they are manually entered, submitted from lead providers or taken from your website's lead form. Auto-complete to quickly enter customer's addresses and view location images to instantly get TRUCK driving directions and distance. 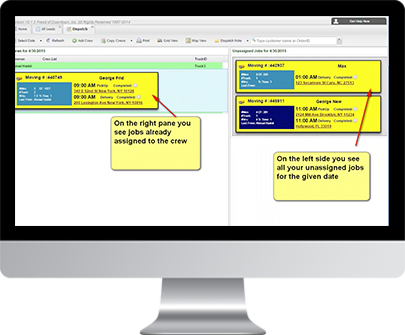 Advanced job hours calculation engine to instantly calculate your job estimate. Rich letter designer to give you an unlimited array of appealing letters that can be sent automatically or manually. Document creator to create and print any documents including Bill of Lading, Order for Service etc. Mobile application to let your customers sign documents electronically and automatically save them to the customer file. 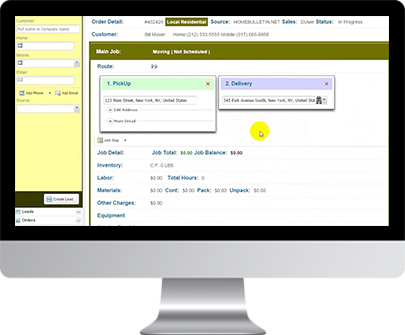 Sophisticated Dispatch module to drag and drop jobs to your moving crew. Connection to Google Calendar to show you your jobs and estimates wherever you go. 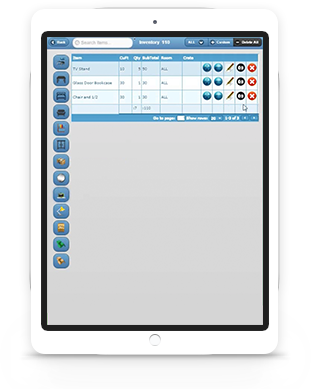 Mobile Estimator to make your onsite survey fast and accurate. Payroll module to automatically calculate the salary and commissions for your workers and sales persons. 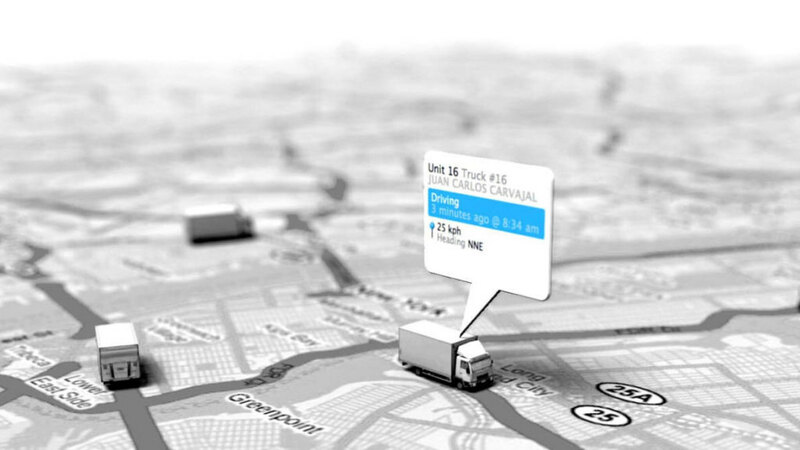 Long Distance Dispatch module to create and manage long distance trips. International Module to create international moving jobs and shipments. Report Wizard to create any data reports. 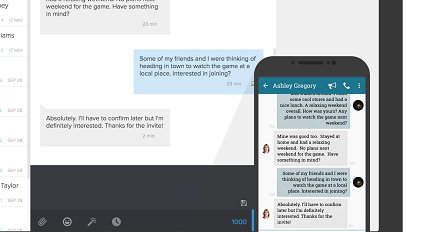 Send and receive text messages right from the program! Send quotes and link to inventory system via text messages automatically as soos as the lead arrives! 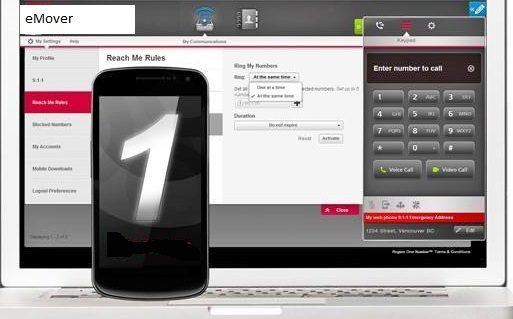 Phone System integration and Auto Dialer! Click to call customer phone number, record to CRM log duration and status of the call and automatically dial customer as soon as the lead arrives! Have customer estimate and book the move without calling! Right from your site! Sher-Del Transfer & Relocation Services Inc.